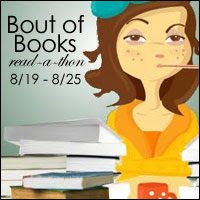 Today's Bout of Books Challenge is hosted by In Wonderland. For this challenge, I'd like for you to come up with a list of the top 5-10 states/places you'd love to visit and find a book (you either read or want to read) that takes place in that state/place or a book by an author who lives or is from there. I love this idea! So, without further ado, the places I would like to go! There really are far more places, but to keep it to ten, here you go. The wonder of books! When you are unable to travel, you can just pick up a book and transport yourself there in seconds. The Glamorous Illusions series by Lisa T. Bergren makes me want to go to all kind of places!